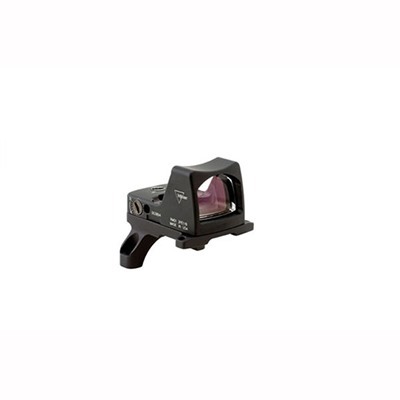 The Trijicon Ruggedized Miniature Reflex or RMR sight is an extremely small and rugged aiming solution. 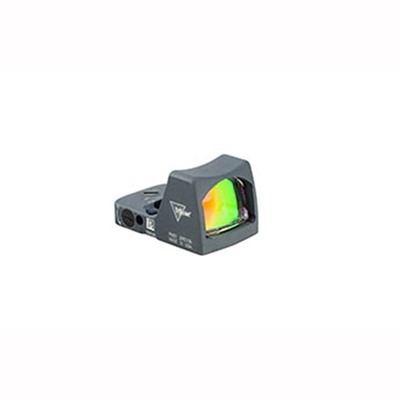 Parallax free at 50 meters, the Trijicon RM04 is ultra rugged, featuring a forged aircraft grade aluminum housing. Suitable for mounting on pistols, rifles or shotguns, as a primary sight or as a secondary offset or piggybacked sight on top of various optical sights such as the ACOG, the Trijocon RMR offers ultra-rapid target acquisition and aiming with a variety of illumination options and dot colours or sizes. The RM04 is dual illuminated (non adjustable) using a combination of a fiber-optic light gathering element and tritium illumination for night shooting. 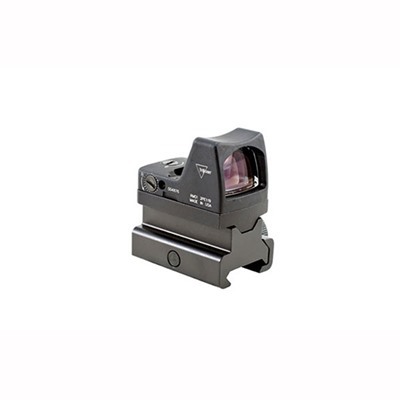 The Trijicon RM04 has a 7 MoA amber dot reticle with 1 MoA audible click adjustments. 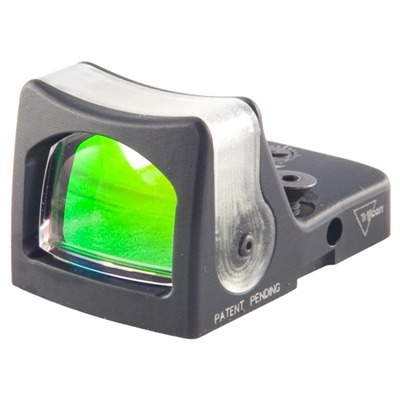 The aiming window is 28 layer coated for maximum clarity and light transmission. It weighs a mere 1.2 ounces and is only 45 mm long. A wide array of mounts are available to mount this sight on wide variety of military, law enforcement and sporting weapons. You may also find this video on the Brownells AR15 gas piston conversion kit of interest.